From The BlogHome » Blog » What is a composite door and should I buy one? What is a composite door and should I buy one? When it comes to buying a new front door, one of the biggest things you’ll need to decide upon is the material it’s made from. But while there are several different options available, not all front doors feature the same standards of quality and security. For example, doors made from just one material like wood or metal might not last very long and could easily be forced open when locked. This is one of the main reasons why more and more homeowners are choosing composite doors. But what exactly is a composite door? And why should you buy one? 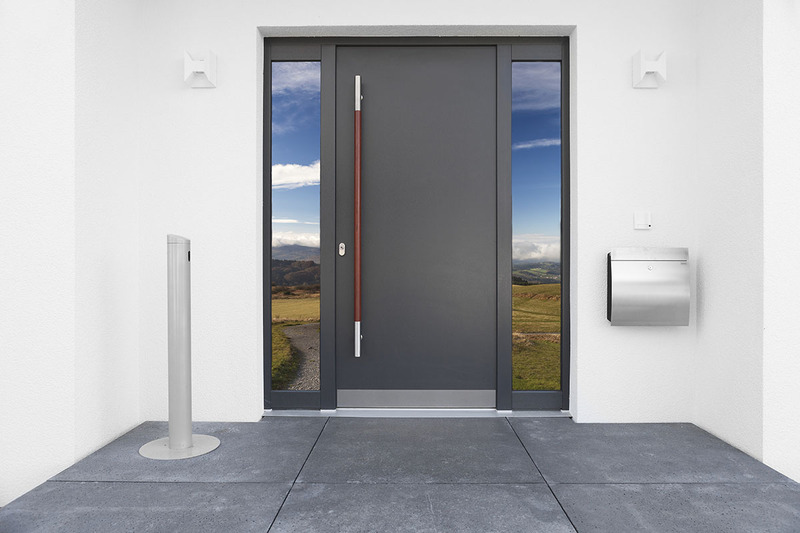 Composite doors are the newest type of door on the market and have been designed to overcome common issues with singular material doors. They make use of various different materials, each of which has been selected for a very specific reason. Should you buy a composite door? Even though composite doors aren’t the cheapest on the market, the upkeep and ongoing maintenance of doors made from other materials will end up being more expensive. Therefore, you should look beyond the initial purchase price when shopping for composite doors. The only maintenance a composite door requires is an occasional wipe and polish using soapy water and a lint free cloth. Traditional wooden doors aren’t especially durable, as they tend to warp, peel, and swell over time, especially if exposed to adverse weather conditions. As a general rule of thumb, wooden doors have a lifespan of around 30 years with regular upkeep and a re-paint/varnish every 2-3 years. However, composite doors have been known to last a lifetime. As a result, you’ll never need to buy another front door again. Composite doors have been designed to provide exceptional thermal and noise insulation. And because your home won’t suffer any heat loss, you will undoubtedly save money on your energy bills. The numerous layers of a composite door will also increase the security of your home. The strength to weight ratio of composite doors cannot be achieved with any other material. With an abundance of styles and colours to choose from, composite doors will improve the look and feel of any home. Wooden and uPVC doors can often be a bit restrictive, but composite options will give you the opportunity to express your own style. If you ever decide to sell your home in the future, an aesthetically pleasing composite door may even increase its value.